Join the ranks of royalty . . . then go right back to killing monsters and taking their stuff. In style. We're putting the rage in peerage! 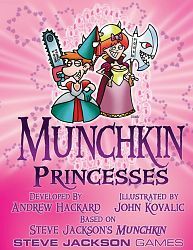 Munchkin Princesses: all the noblesse, none of the oblige.